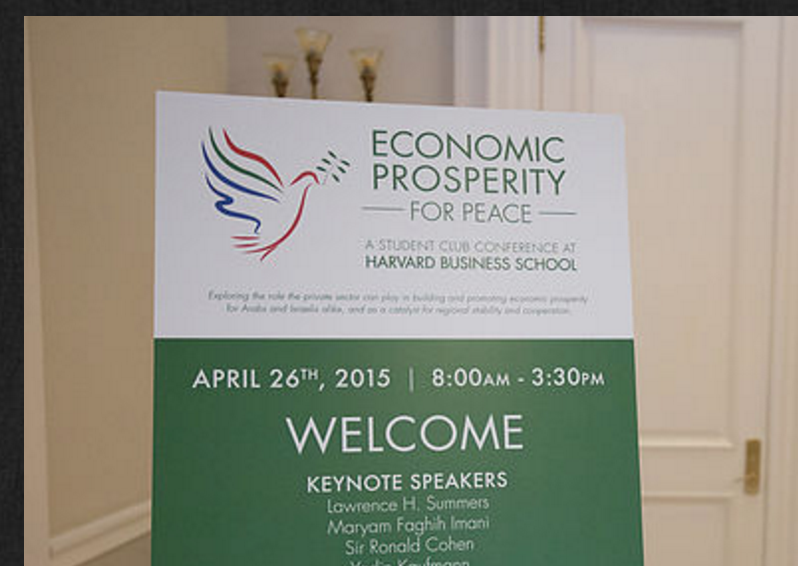 An upcoming conference at the Harvard Business School (HBS) sees business and economic cooperation as a potential tool for bringing peace and prosperity in the Middle East. The Arab and Israeli students are collaborating in a unique fashion for the event, Economic Prosperity for Peace, a day-long conference taking place on Sunday April 3rd, by focusing on business opportunities for a better future instead of being discouraged by political differences and barriers to normalization. 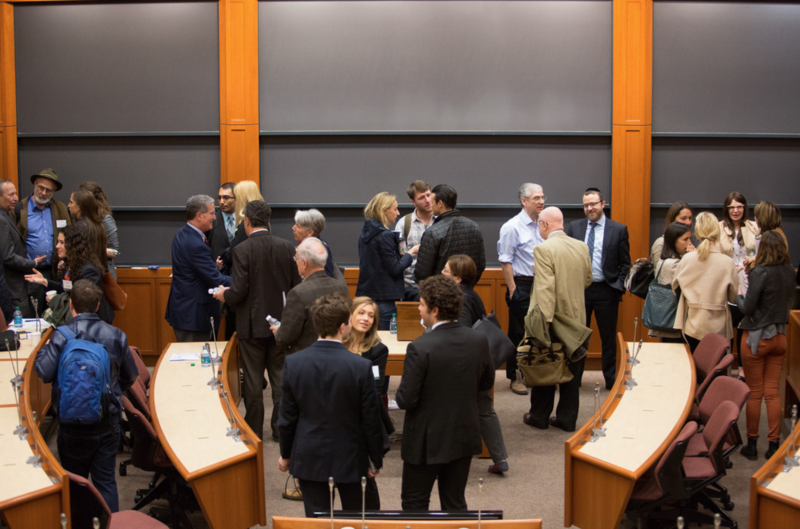 The Middle East has witnessed tremendous unrest and tension in the recent years and the young business students at Harvard, who are organizing Sunday's conference, are very aware of the challenges of bringing people together. "We are not offering solutions - we are opening a conversation," says Aliza Landes, one of the organizers of the conference. Aliza, who is getting a joint degree from the Harvard Kennedy School of Government and MIT Sloan, says the reason they have decided to host the conference at HBS is because the business environment helps in keeping politics aside and focusing on pragmatic solutions. "None of us think that this conference will solve the conflict in the Middle East. We do hope, however, that it will contribute to building a rich, viable and reliable network for tomorrow so that these likeminded and collaborative people are there in the future when, hopefully, the political situation in the Middle East has improved and long-standing conflicts have been resolved." The organizers say they will purposely keep politics aside and explore options that business and investment offer in bringing peace, stability and prosperity in the region. Optimistic about making a difference in the region by promoting entrepreneurship and infrastructure development, the organizers believe skills-based training and education will help in laying the groundwork for an eventual and sustainable peace in the region. Aziz Albahar, an HBS student and an organizer for the conference, was born and raised in Kuwait. He is passionate about working with the Israeli students to use business as a tool to bring about a change on the ground. Like Aliza, Aziz also admits that political solutions do not come quickly but they should, at the same time, not hamper cooperation and understanding on important fronts such as business. "We all get caught up in the politics of how things work in the region," he reminds, "Instead of trying to fix problems that we will probably not be able to solve, we should focus on business areas where we can bring people closer and create change on the ground." This year, the Arab-Israeli business conference is entering its second year since its success in 2015. The inaugural conference last year attracted high-profile speakers such as the former U.S. Secretary of the Treasury, Larry Summers, multimillionaire Ronald Mourad Cohen, Venture capitalist Yadin Kaufmann and Member of the Knesset, Erel Margalit. 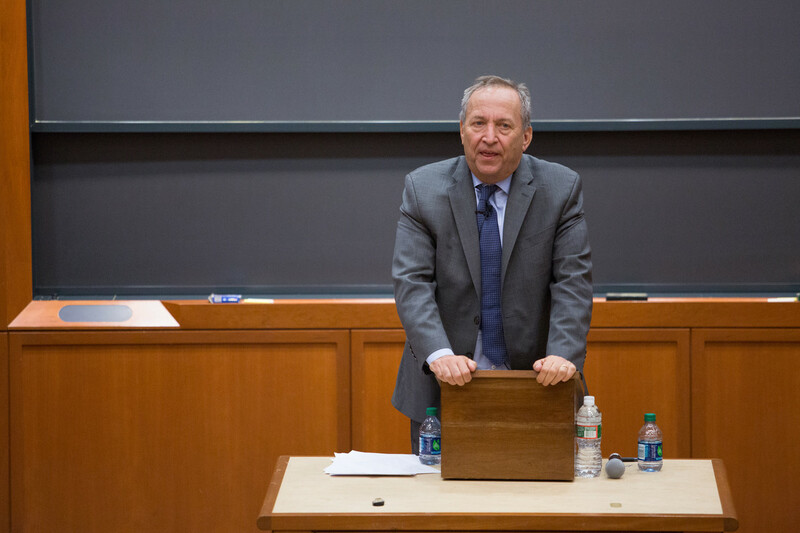 "It is gatherings like this one, at a time of substantial difficulty, that offer hope," said Larry Summers while opening last year's conference. "History teaches that economic failure and success determines the future security of nations." Keynote speakers for this year's conference include Chemi Peres, Managing General Partner and Co-Founder of Pitango Venture Capital, Hani Alami, CEO of Coolnet and Itzik Frid, Managing Partner of Takwin Labs, a venture fund and incubator, focused on early-stage investments in hi-tech companies of Arab entrepreneurs in Israel. The conference will also feature several panels that will focus on a vast range of topics such as social entrepreneurship, energy, infrastructure and vital industries, building start-ups, and sports, media and culture. "Business leaders have a responsibility to step in when politicians are caught up in an impasse," suggests Oded Eran, a member of the organizing team and a student at HBS. "At this conference, we are trying to help both sides find win-win situations."